RealFevr has a fresh look, and you can have it too! No one changes clubs based on the kits’ colors or design. We don’t expect you to choose RealFevr with those premises in mind. But we think we can all agree on this: it’s important to look good. 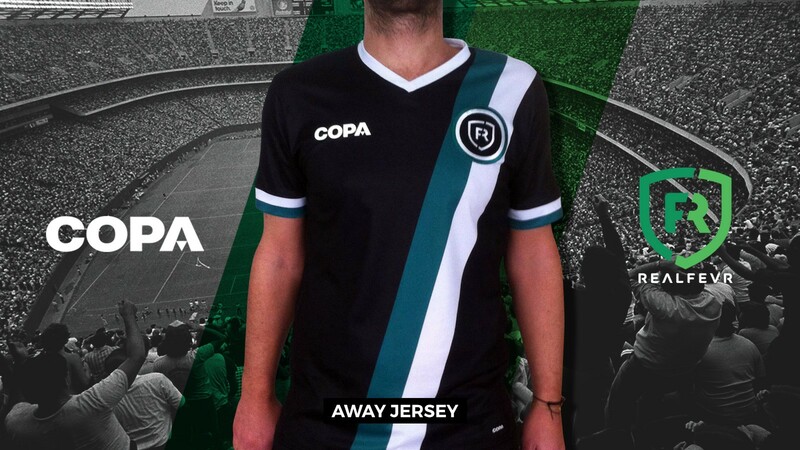 That was the reason we partnered with COPA to create our first official RealFevr jersey and now here comes the second one… RealFevr’s away kit! After the white, our team decided to keep walking the path of simplicity, this time wearing black. 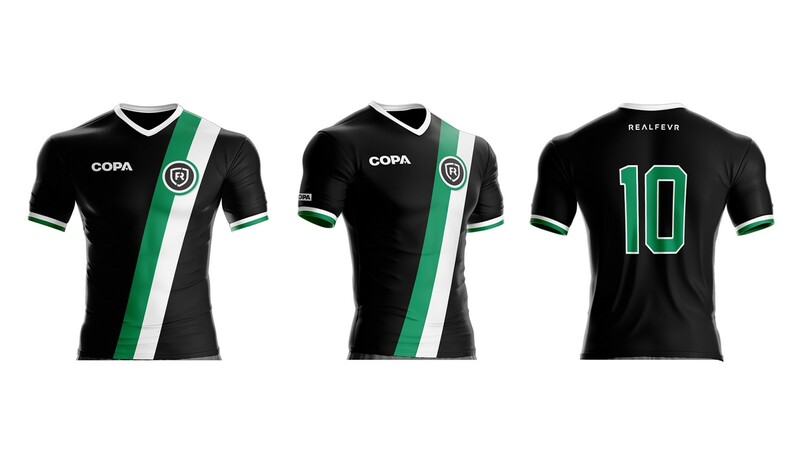 But we won’t be the only ones proudly wearing these kits: you can dress in our colors too! For that, of course, you’ll have to be one of the best in any of our active competitions. At RealFevr, all competitions have prizes and our official jerseys are some of them. Previous winners have won our white jersey but, from now on, future winners can choose between the white and the black jerseys. Since we’re getting closer to the holiday season and we know you love football, we can’t recommend you enough to check COPA’s website. There you’ll find amazing gifts for your friends and family… or even yourself! Do you have an aunt that always gives you socks? COPA has an amazing collection of socks you’ll love to get. And if you happen to be in Amsterdam, don’t miss COPA’s flagship store at Prins Hendrikkade, 20-B.